There are a lot of superhero shows and movies out there and there are more coming. Due to the years I’ve sent with a comicbook in hand I’ve become the person ask when any of my family have questions about these properties. When you’re mother-in-law texts you because she wants to more about the Inhumans it is a very, very strange day. I have deep pre-52 DC knowledge and fair Marvel knowledge. My wife has gotten used to my comic triva knowledge when watching things like Arrow of Flash. I’ll smirk or giggle at a name or reference in the background and then I’ll have to explain something why the name of Iris’ stuffed turtle is awesome. 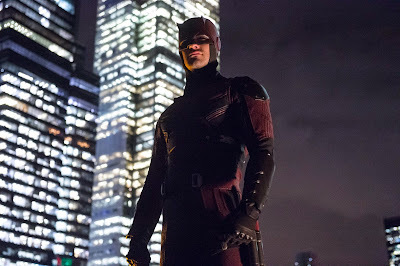 When we spent a weekend binge watching Daredevil I was out of my element. I knew Daredevil of course. I had read some of Frank Miller’s run but not all of it. I knew a lot of his villains because they appeared in other things. I don’t own any Daredevil comics and I have 1 Daredevil trade paperback (I’ll reveal which TBP later in this update). So when I had to confess ignorance to some of my wife’s questions I suddenly saw her texting Brandon, the biggest Daredevil fan we know. The next Netflix show is based on the Alias comic. While I know of the story, I’m even more in the dark about it than I am Daredevil. After that is Powerman. Luke Cage appears in a lot of the comics in my collection but I don’t have any of his solo run. Finally we get to Iron Fist. 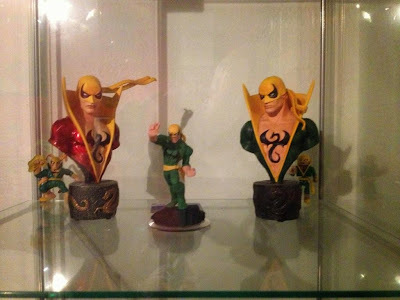 I know a lot about Iron Fist. Between trades and single issues I have the good, the great, and the horrible Iron Fist stories. Starting next week Iron Fist 101 will be a regular feature here. Every update will cover a story arc, handful of one shots, or even a single issue if it is important enough. It won’t cover a lot of the team book stuff, I just don’t have those. When Iron Fist debuts on Netflix next year you’ll be ready. You’ll know your Dragon Kings, Immortal Weapons, and the Thunderer. Oh, that Daredevil trade I own? It’s when Matt is in prison and he asks Iron Fist to become Daredevil. My only Daredevil trade co-stars Iron Fist, we’ll be covering that one too.